Risk Management is part of any personal or business plan, which is why learning how to cope with it is vital. Risk is the positive or negative uncertainty arising from a given event. Risk management is a plan to ensure negative uncertainty does not prevent desired success. As a responsible manager or business owner, you need to be aware of your risks. Does this mean that you should try to address each and every risk that your business might face? Probably not – in all but the most critical environments, this can be much too expensive, both in time and resources. Instead, you need to prioritize risks. If you do this effectively, you can focus the majority of your time and effort on the most important risks. Therefore, before we go running off to the corner insurance agent’s office to buy a policy, we should understand our role in risk management. 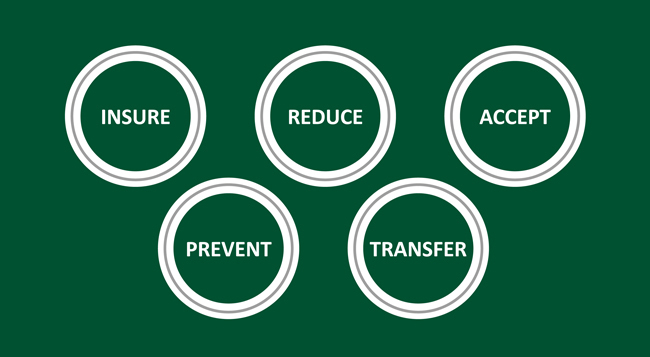 Even if we choose to have the insurance company take on our risks, we are going to want to prevent, reduce and transfer as many of these risks. We can minimize the amount and number of claims an insurance company may have to pay, in order to keep insurance costs down and maintain productivity. 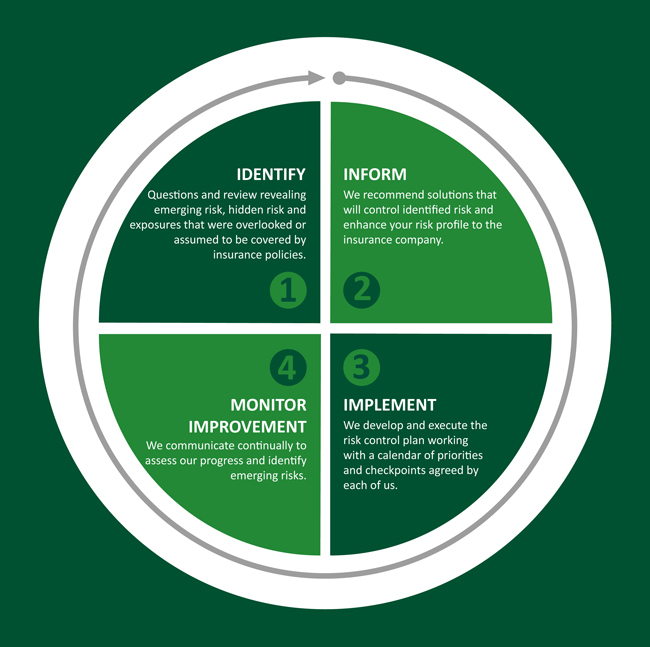 At Baker-Hopp & Associates we help break it down through our unique, effective method to Identify, Inform, Implement and Monitor Improvement related to risk that could lead to an economic loss for an organization, you or your family. We have found that a healthy balance of risk taking and risk management creates the most competitive advantage and sustainability. Manage your business. Let Baker-Hopp & Associates manage your risks. A business continuity agreement with friendly competitors-you take my orders if I am down and I will do the same for you. Transfer to an insurance company via purchasing policies. Utilizing our comprehensive Risk Management Process we are able reduce your risk, by executing a relationship-driven and solutions-oriented approach focused on the individual needs of each customer that mitigates risk and creates long term partnerships for success. When risk management solutions are coupled with traditional insurance programs, we are able to enhance your risk profile with our top-rated partner carriers and present you with Executive Summary that includes comprehensive insurance program and practical Risk Solutions. Whether its commercial insurance, employee benefits or personal insurance our strategy help clients discover the solution(s) that are right for them. For over 100 years we have been providing partnership and protection to you, your family and your business. We manage the risk, so you don’t have too. Live your life. Let Baker-Hopp & Associates manage your risks.